Decided to have fun with the black background again and spice it up with a shot of my final party. Makes for a nice wallpaper too. Spent who knows how many hours on the game.... It's been a good stress reliever this past month for my anxiety, with how grindy it is. Nice. 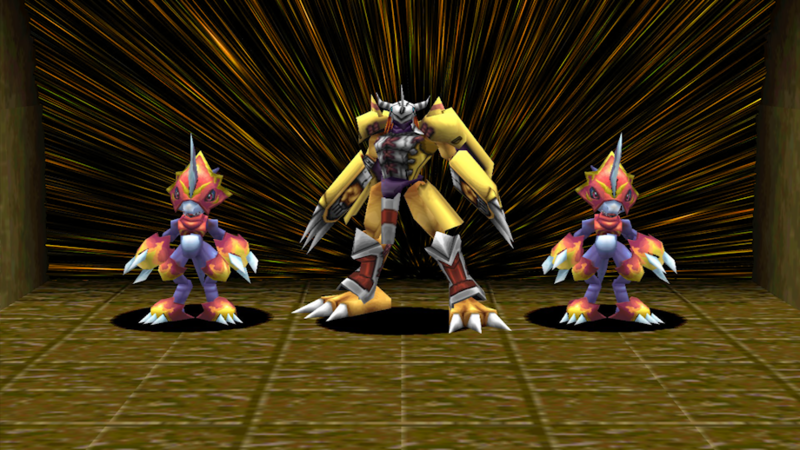 My last Digimon team was in Cyber Sleuth. WarGraymon was a godsend. But i more used MetalSeadramon.